This is a 1986 reprint edition by Mitchell-Fleming Printing, Inc.
Cover and outside edges show light wear. Inside pages are nice and clean. 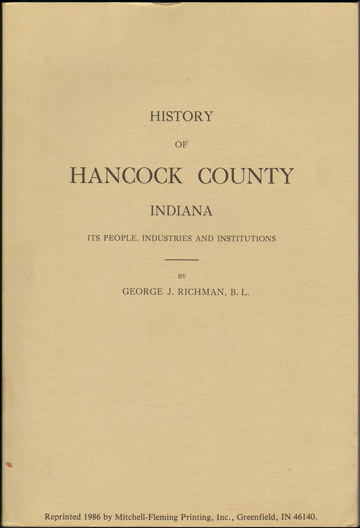 A detailed history of Hancock County, Indiana with mention of many, many families and names but no biographies.